The genuine Jrion from WEINIG offers universal applications in small, medium-sized and large operations. When it comes to cutting planks, boards and panels, the FlexiRip has established a reputation as an efficient and flexible longitudinal circular saw. Customers particularly appreciate the high levels of flexibility, the optimal wood recovery and the one-man operation. FlexiRip: the solution when it comes to universal application! In addition to solid wood, a range of other materials can also be cut, including plastic, aluminum and a variety of panel types. 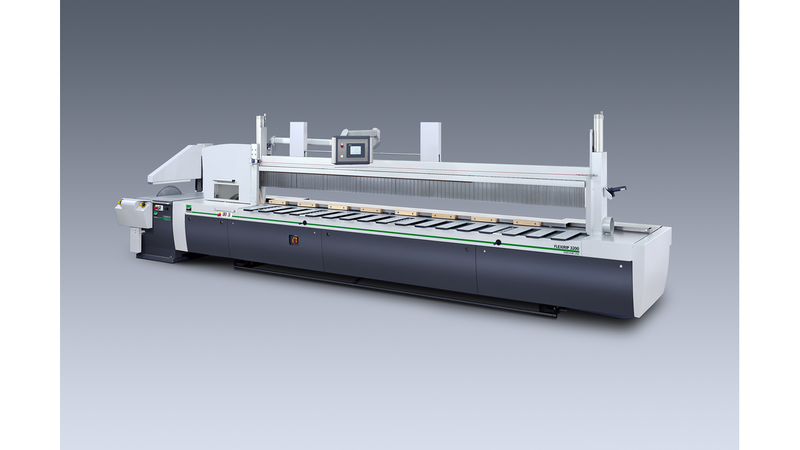 The FlexiRip&apos;s cut length and usable width is harmonized with its workpiece dimensions. Operation is simple: Lay and align the workpiece on the machine table and initiate cutting via the pedal! When the pedal is released, the saw blade dips and returns to the start position. The feed speed can be continuously and finely adjusted from 0 – 80m/min.